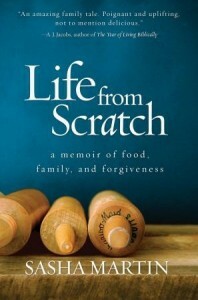 I almost forgot to announce that the winner of a copy of Sasha Martin’s foodie memoir Life From Scratch is ANNE. Those of you who commented or retweeted had your names put into a hat (yes, an actual hat) and yesterday we put them through our super-scientific randomizer in order to choose one. Jackie! Check your email. You’ve won a copy of The Dead Key, by D.M. Pulley. I’ll need your mailing address. 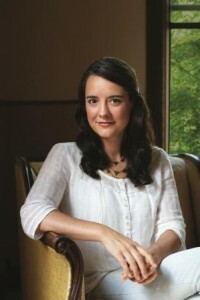 SASHA MARTIN is an award-winning writer and blogger who spent almost four years cooking her way around the world. Her work has been featured on NPR (Travel with Rick Steves), Whole Living, Bon Appetit, The Smithsonian, The Huffington Post, CNNgo, and Food52. Her website, Global Table Adventure, is a go-to hub for foodies around the world. When this book showed up on my doorstep in the middle of an ice storm, I was pleasantly surprised to find that instead of an ARC, which is typical for someone participating in a book tour, I’d received the actual hardcover edition. I confess, I was so excited about it that I hugged it to my chest, and I’ve been reading and re-reading it ever since. It’s a really wonderful book. Memoirs are tricky things, riding the line between pure fact and ‘creative’ non-fiction. Even the most interesting person can come off as dry and boring if they don’t have a good writer’s voice. Sasha Martin, who honed her voice with a popular blog (which, I confess, I’d never visited until I read Life from Scratch, despite it being right up my alley), never seems dry or boring, though at times the situations she was in, whether by her own design or precipitated by others, made me want to reach into the book and throttle people. When you have that visceral a reaction to words on a page, you KNOW it’s a good story. And Sasha’s story, while sometimes dark, and a bit overloaded with disappointments, is a truly interesting, fairly candid account of her life, her coming of age, her relationship with family, food, and cooking. As Sasha’s memoir (and forgive me for referring to her by first name, but reading her book really makes you feel like you’ve met her) approaches her contemporary life, the mellowing, the settling, of her personality and the way it conflicts with the ingrained wanderlust of her childhood felt all too familiar. I know what it’s like to constantly be uprooted, to always be the new kid, to never quite belong, and though our circumstances are radically different, I think it’s this familiarity that made this book resonate with me so deeply. That said, even if you’ve never been the child of a single parent, and never found that a favorite food from childhood (and one said single mother invented out of necessity) has lost its appeal to your adult palate – even if you’ve lived in one place your entire life, I think Martin’s book will still appeal to you. Why? Because food and cooking are universal elements of community. Because her recipes are nearly intoxicating on the page, and the itch to try them is almost palpable. Because this is a well-written, well-crafted love story to youth and family and to the concept of the kitchen as the heart of a home, and to not read it would be to miss out on a very rare treat. Goes well with homemade pizza made on raisin bread, and a glass of horchata. One lucky reader (US only) will win a copy of Life from Scratch for their very own. How? Tweet the link to this review (tag @Melysse on Twitter), or comment on this post. 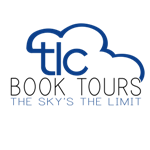 Winner will be selected by random drawing on the night of Sunday, March 22, and announced on Monday, March 23.